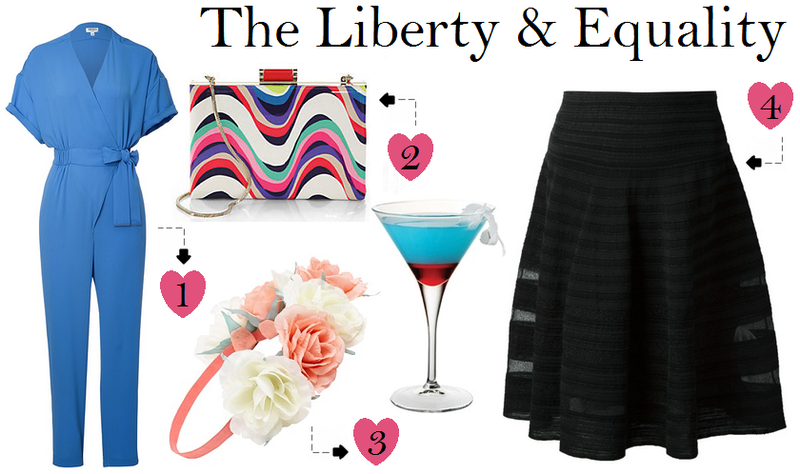 You guys should know by now that this is one of my favorite themed posts to write: dresses inspired by drinks. Maybe that's because I'm a borderline alcoholic (j/k). I'd like to share some spring fashion trends inspired by spring drinks to get you in the mood for spring fashion and, hopefully, spring weather. Some of the trends are contrast collar tops, tweed shorts, pastels, midi skirts and more. Let me know what spring trends you're into! Cocktail: Remy Martin cognac | mint sprigs | sugar | A southern Derby special! Cocktail: Blue Curacao liqueur | vodka | lemonade | garnish | For all you spring breakers out there! Cocktail: Pomegranate liqueur | rum | Blue Curacao | Agave nectar | cherry | Take into the summer! Oh, and check out my interview with 365Hangers from WWDMAGIC! See how cute I am? What do you think of these spring fashion trends inspired by spring drinks? 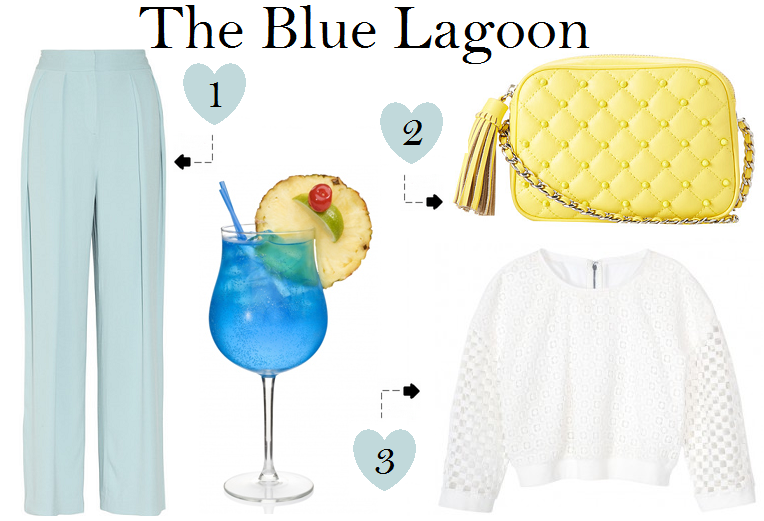 I love everything in that Blue Lagoon set, Cheryl:) Sooooo ready for spring for sure. PS Lovely interview. You're too adorable:D And must really check out Nasty Gal. I'm probably the last person on earth who hasn't bought anything from them. Love the set you inspired by spring drinks. Great interview you had there and your personality just pops out of the screen :). P.s I would like to ask you a few questions about the WWD magic show, Is it ok if I send you an email? Great interview! :-) The Blue Lagoon is my fav look. so sweet. I love this! Mint Julep-inspired is awesome! Haha, love this, brilliantly paired, I am made for that last look, that printed kate Spade clutch needs to find its way into my closet asap. Wishing you a wonderful weekend hun! The mint julep is too cute! these are great items! great choices! Haha, outfits inspired by drinks sounds ideal. I love the first one! What a clever post! 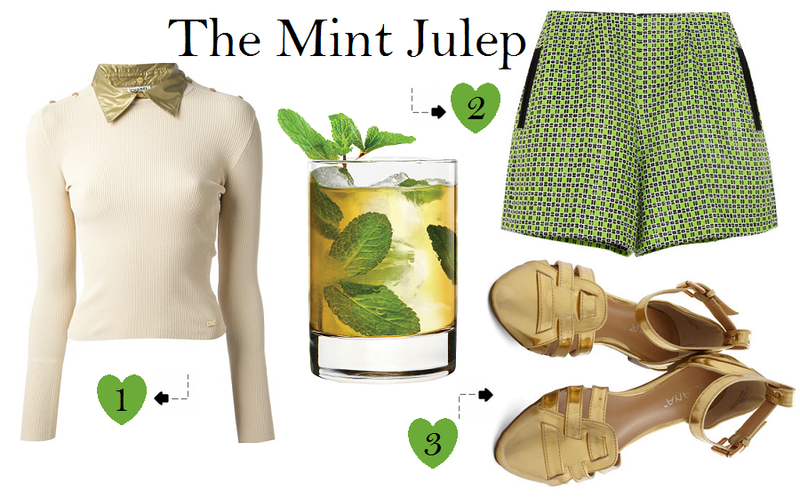 The mint julep outfit doesn't just translate the cocktail itself, but its drinker as well---- too cute!